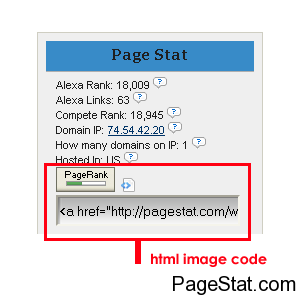 PageStat.com now has a Google PageRank integration option, that will allow you to embed an image representation of your websites pagerank into your site. This is a great way to show off your sites PR, and may be a boost to potential ad customers. If you’ve not done so already please Add Your Site to our main website (this is the blog area), and within a few minutes your site should be crawled and analyzed. Then just grab the PageRank code from your websites page, and that’s all there is to it really. The picture above shows more than just the pagerank for the site it also has alexa rank, and similar. The code we supply however will only display your sites PageRank so don’t worry you won’t have all that stuff, just the PR image, sound good? If you add our pr feature to your website please let us know post your site below, please no spam. Here are some related posts we’ve made if you want to continue reading on the subject.